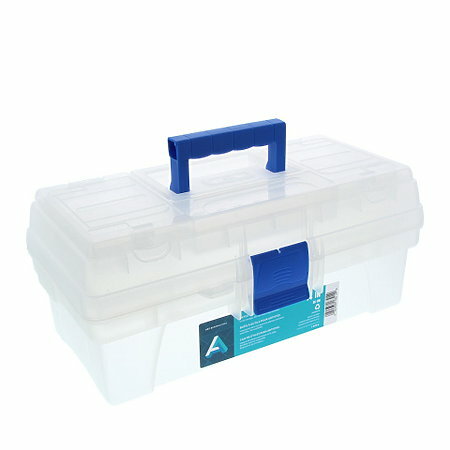 Get organized with these durable, lockable and recyclable clear plastic boxes that feature blue handles and clasps, and convenient in-lid storage for small items. The 14", 16" and 20" sizes also include a lift out inner tray. Ideal for students, professionals, hobbyists or artists of all kinds.